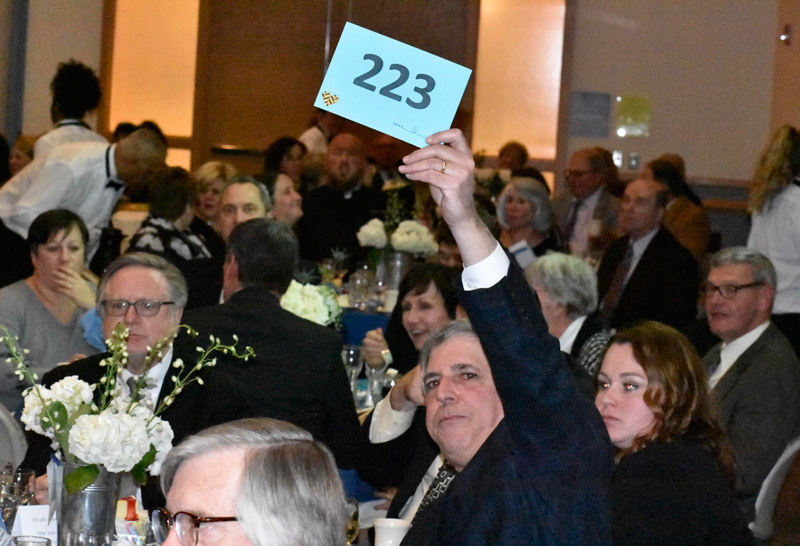 A snowstorm March 3 that postponed the Catholic Charities (CC), Diocese of Allentown Gala to March 8 did not hamper support for the organization that drew an estimated 450 people and netted an estimated $266,000. 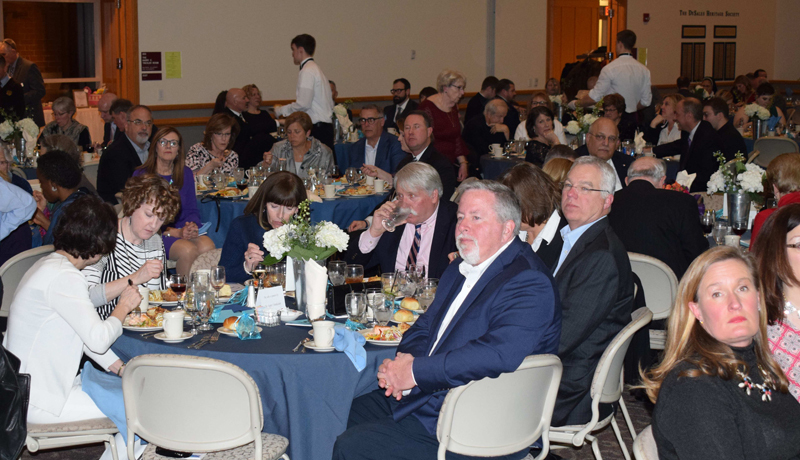 This year’s honorees for the 12th annual gala at DeSales University, Center Valley were Monsignor Joseph Smith, pastor emeritus of St. Catharine of Siena, Reading and John and Alice Freeh, parishioners of St. Theresa of the Child Jesus, Hellertown. Bishop of Allentown Alfred Schlert thanked supporters for assisting CC in providing vital services for more than 20,000 individuals and families last year throughout Berks, Carbon, Lehigh, Northampton and Schuylkill counties. “I want to welcome and thank all of you. You are all men and women of good will. Since 1961, CC has been providing services to the community – meaning everyone – no matter their denomination. It’s an essential role to us as Christians and a mandate of Christ,” he said. Father Allen Hoffa, pastor of St. Joseph, Summit Hill, then introduced Monsignor Smith, his former pastor and mentor that he met when his family moved to the Reading area in 1991. “Monsignor Smith is a teacher. He made it a point to be able to teach anyone about Christ and has the ability to walk up to anyone and introduce himself,” he said. Father Hoffa also pointed out Monsignor Smith’s ability to be an initiator and to encourage others to take initiative. “He encouraged not only me, but everyone he came in contact with, to take initiative and to reach out to those in need like Christ did,” he added. 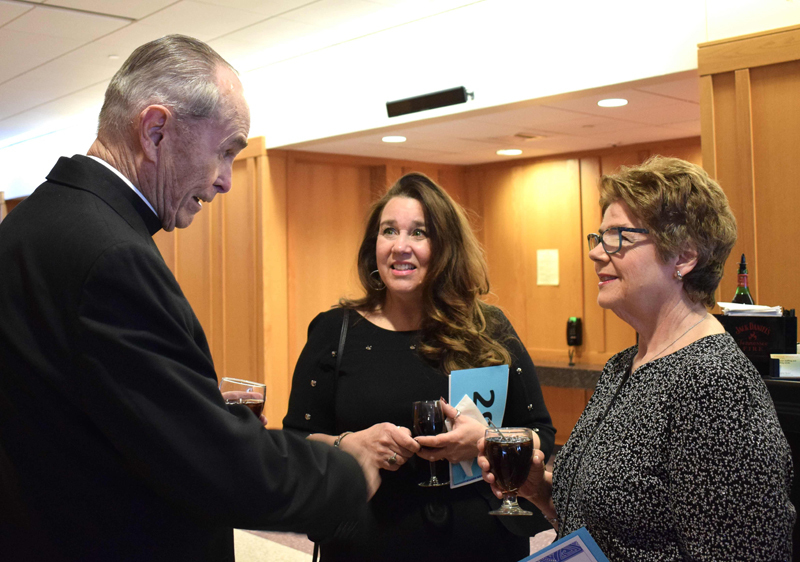 After receiving a standing ovation, Monsignor Smith told supporters that while he was grateful for being thought of – there were other honorees in the room. “I think you are all the real honorees here tonight. 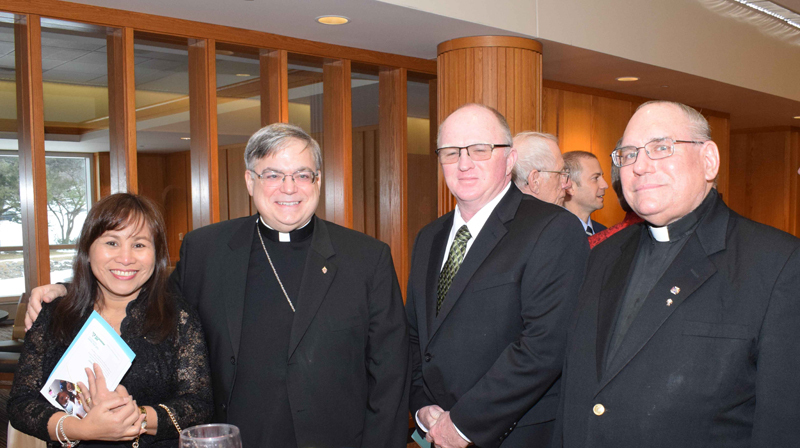 Catholic Charities wouldn’t be possible without good people like you,” he said. He then joked that he was surprised to wake up on his birthday last November and turn 85 years of age. Looking back on his priesthood, Monsignor Smith recalled entering the seminary when he was 17 and studying for nine years before being ordained in 1960. Months later Rome announced the formation of the Diocese of Allentown and he became a “forever priest” – like many other priests – for the new Diocese. “All of us, if possible, would go back to the seminary and be happy to do it all over again. That is, to serve the good people of God in the Diocese of Allentown,” he said. 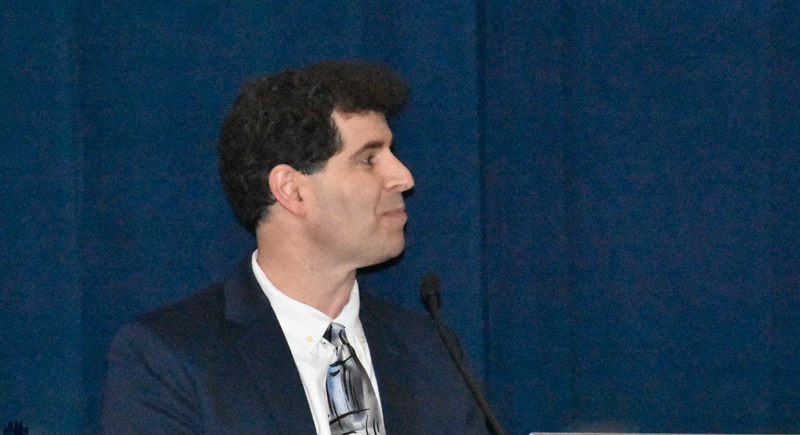 Matthew Kuna, diocesan seminarian, then introduced honorees Alice and John Freeh by describing them as an example of what it means to live out the Catholic faith. The couple have been longtime supporters of the theater department at Bethlehem Catholic High School (Becahi), with Alice serving as the former director. “My parents raised us to know what volunteering is about. They led me here today and I know they are smiling down. Most of all, I thank you and I thank God for gracing me with the opportunity to serve others,” she said. In his remarks, John, who volunteered his time to design the theater sets for Becahi, said he shares the award with everyone around the room because they share in being raised by good families in the faith. He recalled a lesson he learned from his father after asking him as a small boy why he helps the neighbors out first when his family was struggling with a broken water pump. “He told me, ‘God gave all of us talents to share and to help others. By helping others first, it gives my family a chance to share in sacrifice for others,’” he said. John also called to mind the growing numbers of families experiencing divorce and other struggles, and said Catholic schools provide more than education. “Our Catholic schools are schools of love. They are schools where our children find the source and the path of love, where they get the help they need to achieve their own private victories, thus preparing them for joy-filled lives and much-needed leadership in the public square,” he said. In addition, he John stressed that there is no truer freedom than to be liberated from one’s selfish interest. 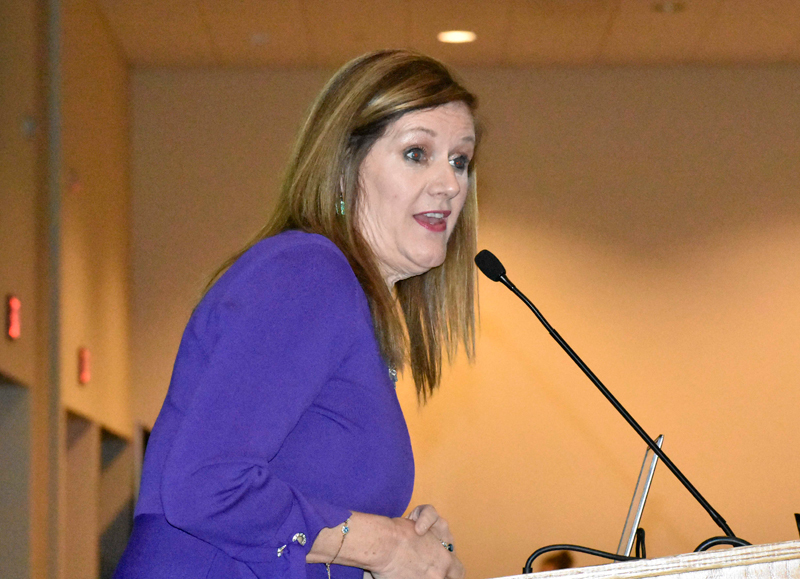 The evening also featured live and silent auctions, a special appeal, presentations to the honorees, a special raffle and a video depicting CC ministries and services and some of the people the organization serves. The video may be viewed by visiting Catholic Charities’ website, www.CatholicCharityad.org. 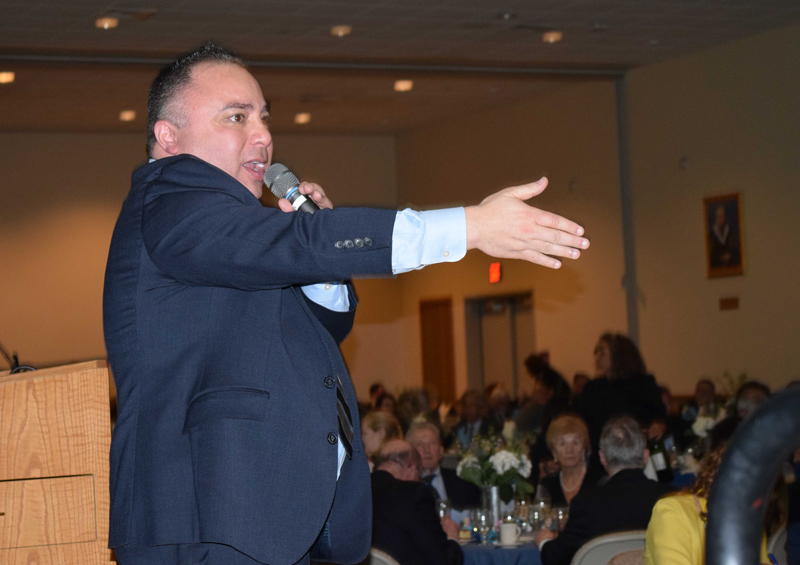 Laurie Hackett was emcee for the evening and Tony Luna was the auctioneer. Monsignor David James, diocesan vicar general, concluded the evening with Benediction. For more information, visit the Catholic Charities website at www.CatholicCharityad.org or contact Julie Scheck, 610-871-5200 ext. 2216 or jscheck@allentowndiocese.org. Laurie Hackett, the emcee for the evening, welcomes Catholic Charities supporters to the gala at DeSales University, Center Valley. Bishop of Allentown Alfred Schlert, second from left, enjoys spending time with, from left, Norma Earley, Patrick Earley and Father Gregory Karpyn, assistant pastor of St. Patrick, Pottsville. 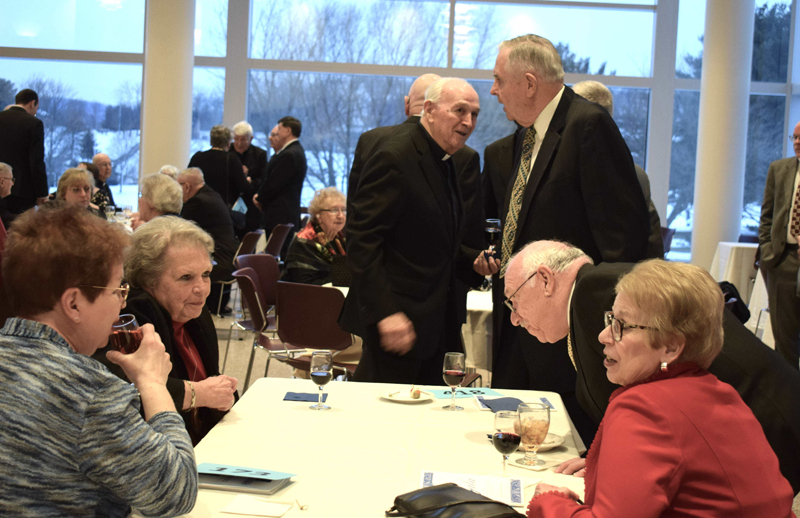 Father Alex Pocetto, left, retired vice president of the Division of Liberal Arts and Social Sciences at DeSales, mingles with gala guests. 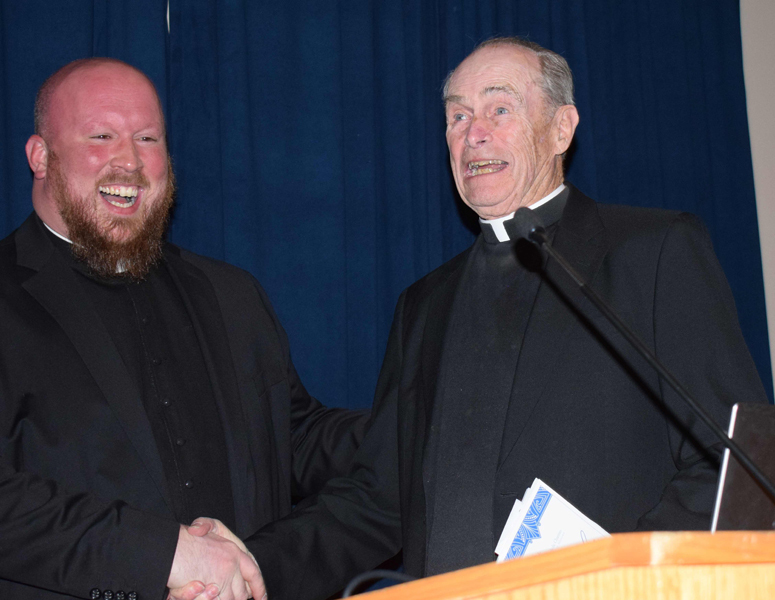 Father Allen Hoffa, left, pastor of St. Joseph, Summit Hill, enjoys a laugh with Monsignor Joseph Smith, gala honoree and pastor emeritus of St. Catharine of Siena, Reading. Rob Nicolella, interim executive director of Catholic Charities, welcomes guests to the 12th annual gala. Monsignor Smith, left, talks with Paola Mattera, center, and Patty Huck. Guests and donors enjoy dinner at the gala. 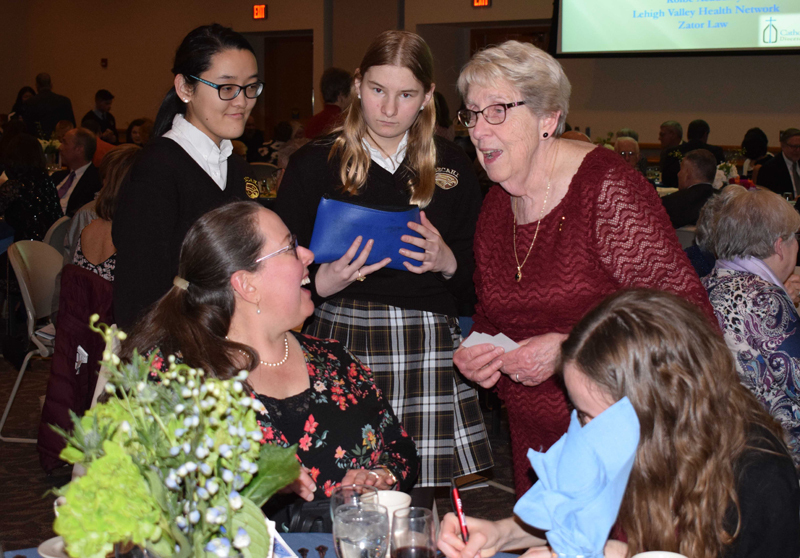 Sister Janice Marie Johnson, standing right, chats with a guest while helping student volunteers sell raffle tickets. From left are Sara Miller, LuLu Blewitt, Isabella Allen and Morgan Medvedz. Mike Tully bids on one of the items during the live auction. Tony Luna, auctioneer, starts the bidding at the gala. 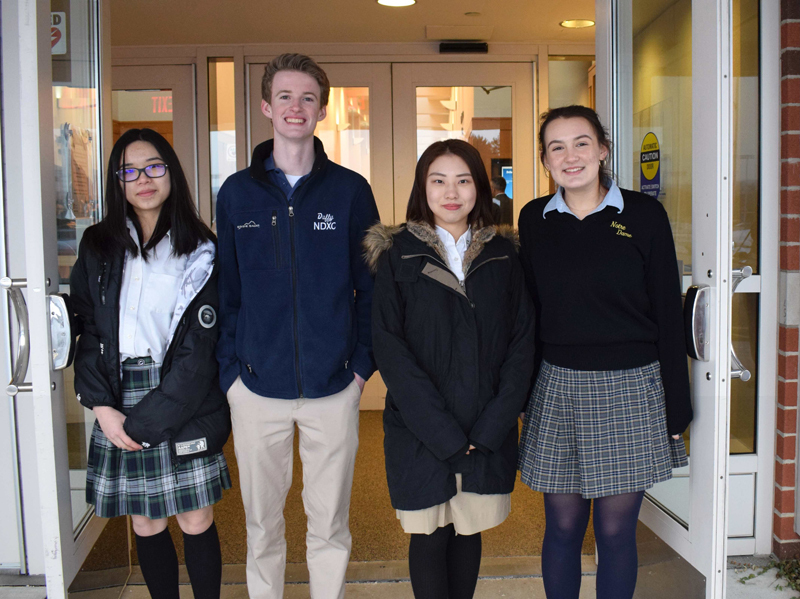 Among the student volunteers for the gala are, from left, Alex Xu, Allentown Central Catholic High School (ACCHS), Connor Duffy Notre Dame High School (NDHS), Easton: Ivory Wang, ACCHS; and Victoria Dyer, NDHS. 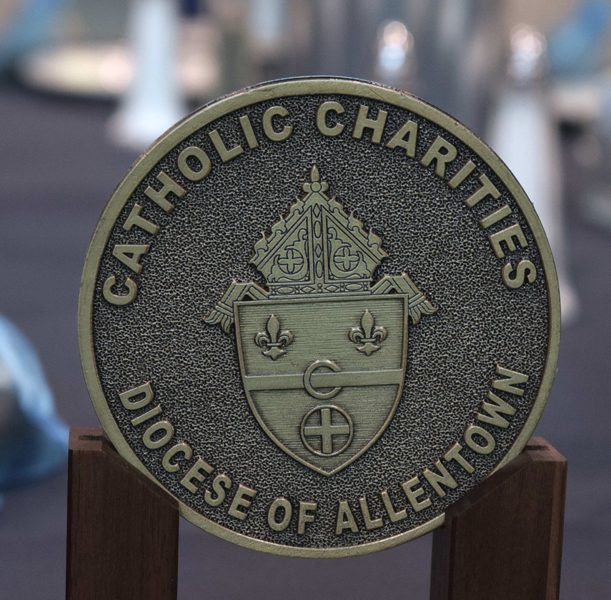 The medallion presented at the Catholic Charities Gala features the coat of arms of the Diocese of Allentown. 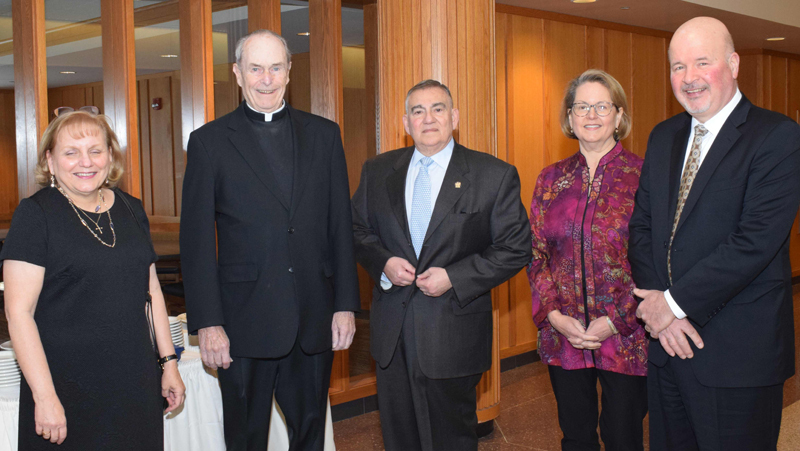 Monsignor Smith, second from left, is congratulated by, from left, Evelyn Carfagno, Anthony Carfagno, Dr. Linda Lapos and Paul Wirth. 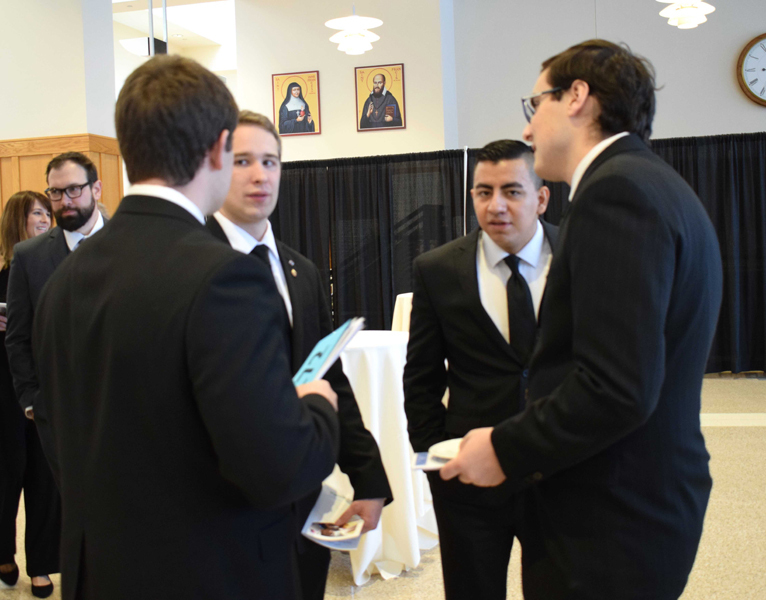 Seminarians for the Diocese of Allentown attend the gala. 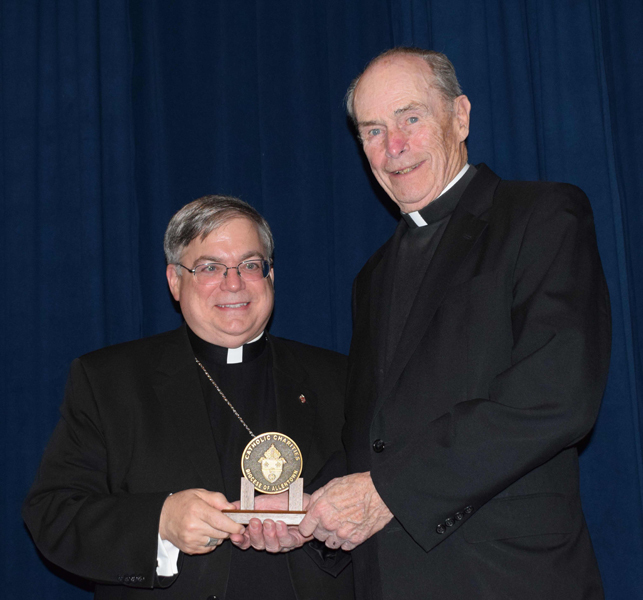 Bishop Schlert, left, presents the medallion to Monsignor Smith. 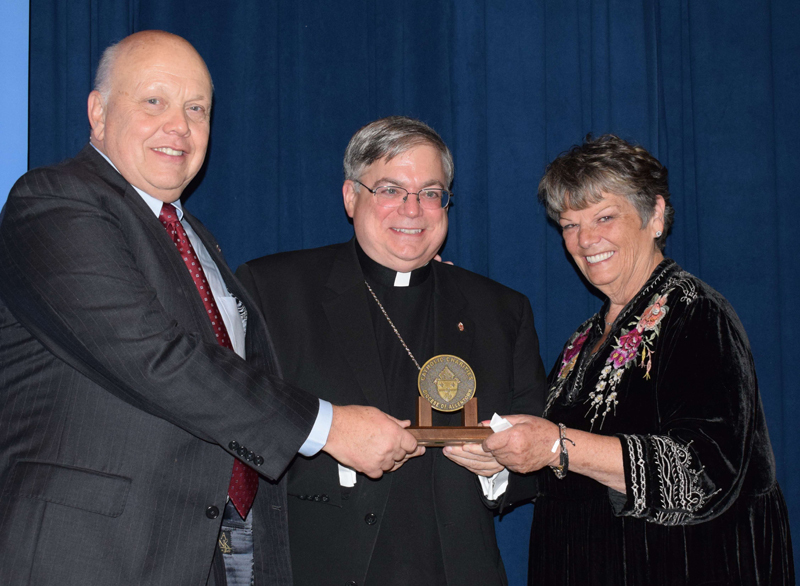 Bishop Schlert, center, presents the medallion to John and Alice Freeh.